We understand different businesses have different tagging needs. 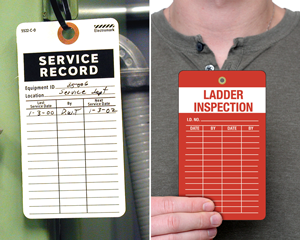 And so we offer a huge range of stock printed tags designed to identify, organize, and track anything and everything you want! 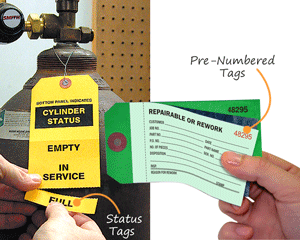 • Lockout machinery for repair, mark valves, display sale price, inspect fire extinguisher and do much more with a diverse array of tags. 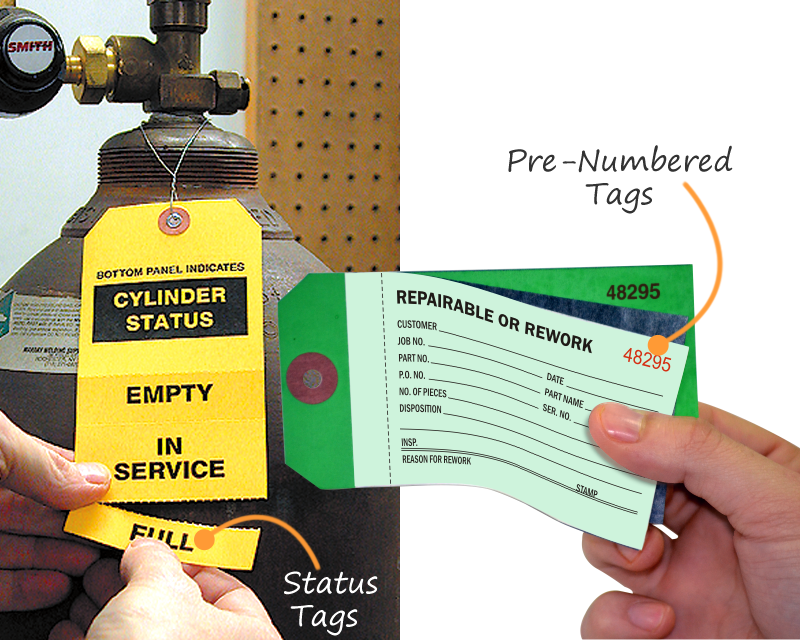 • Printed tags feature space for all the vital information such as date, name, status, numbers etc. 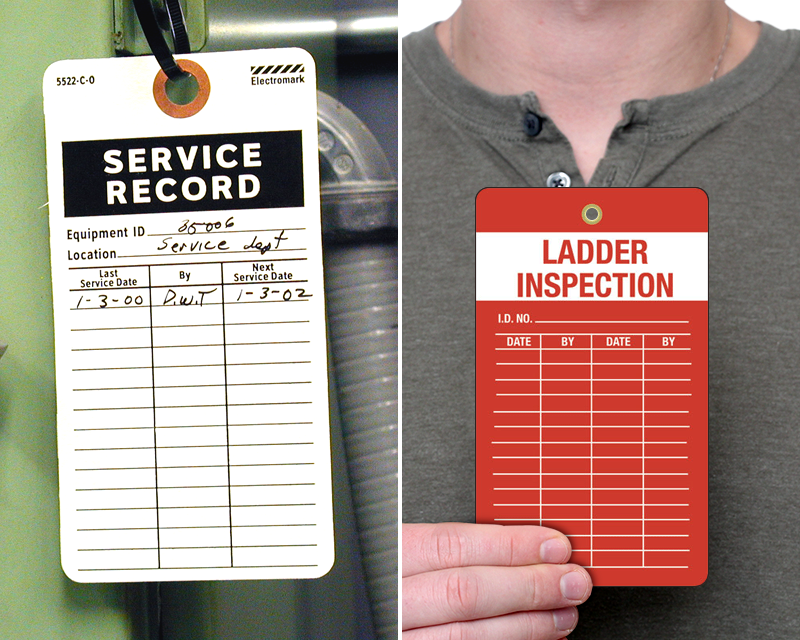 • Choose your tags from a variety of material and color options. 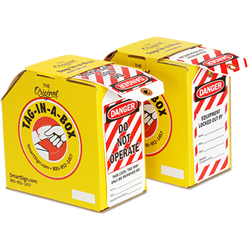 Take your pick from Manila, Tyvek, and aluminum tags available in over 10 different colors. 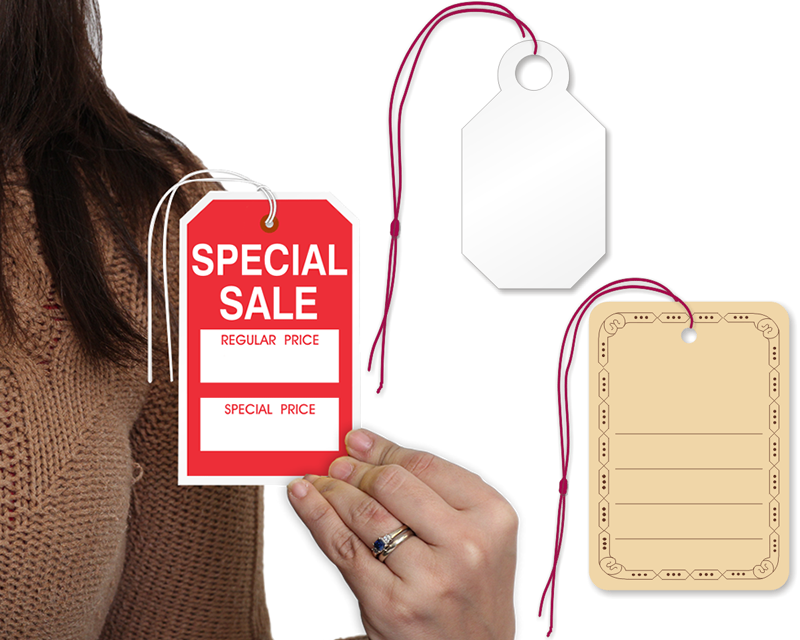 • Printed tags are available in various shapes and come with a reinforced eyelet to easily pass a wire, string, nylon tie, beads through them.